By buying this product you can collect up to 70 loyalty points. Your cart will total 70 points that can be converted into a voucher of Rs. 7.00. 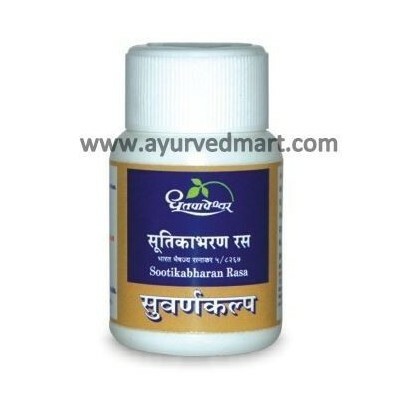 The Suvarnakalpa with most powerful action in Sootikaroga developed after delivery. Acts as detoxifying agent by eradicating toxins affecting female reproductive system due to unhygienic conditions or improper handling during delivery. Also improves strength, Vitality and immunity of the mother.